The axioms that structure our existence also have opinions about Game of Thrones — just like everyone else you know! 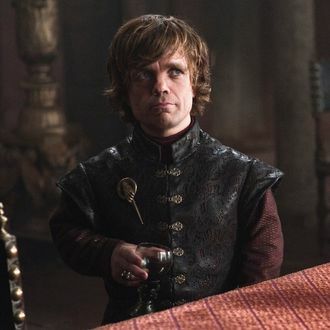 According to an analysis of the social networks of Westeros from a professor and undergrad at Macalester College, Tyrion Lannister is the most important character in Westeros. By most important, we mean with the highest degree of centrality “according to six centrality measures” when applied to George R.R. Martin’s A Storm of Swords. But still, math has spoken: Tyrion is the most central character, followed by Jon Snow and Sansa Stark. Sorry, Daenerys, math doesn’t care about your dragons or your fan theories — though math still can’t divide by zero, so really, who is it to judge?